Remains a solid investment because of new high rise developments and the global growth of tourism. 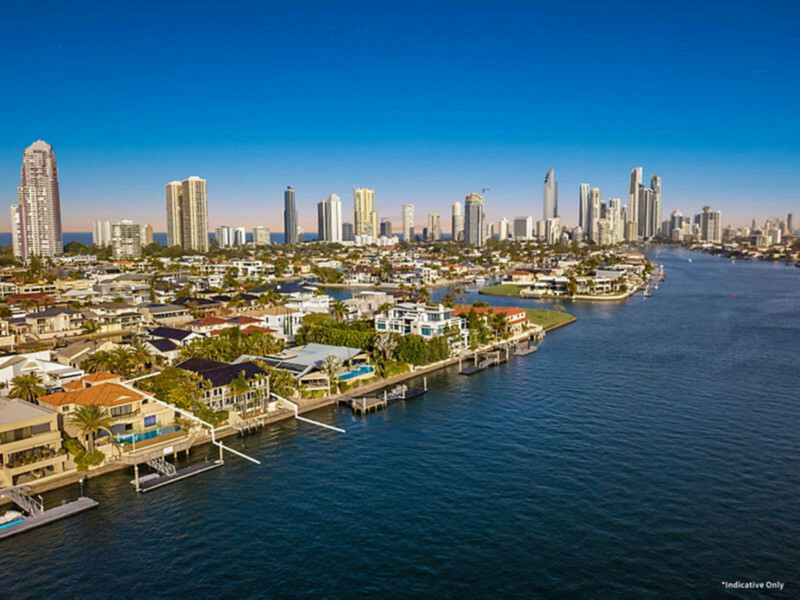 Surfers Paradise is the best known suburb of the Gold Coast, located on a narrow strip of land between the Nerang River and the Coral Sea, with Broadbeach to the south and Main Beach to the north. Ever since the 1950’s, Surfers, as the locals call it, has been acknowledged as the ultimate beach resort. Originating as a sleepy seaside town named Elston, Surfers Paradise didn’t get its new name until 1933 and from there growth has been phenomenal. A few sandy streets surrounded by sugarcane farms have evolved into Australia’s No.1 holiday destination, attracting over 11 million visitors a year. Apart from tourism, Surfers Paradise real estate is these days a major ‘industry’ employing hundreds of property professionals. Along with beautiful golden sand beaches, the shopping in Surfers Paradise is equally famous, offering budget fashion and accessories to the most exclusive international labels. Dining options seem endless, with cafes, restaurants and food courts serving dishes from all around the world. The range of tourist attractions includes everything from children’s amusements to nightclubs and dance venues. With all this squeezed into one small suburb, Surfers Paradise is one amazing place. The Surfers Paradise real estate skyline is characterized by high-rise apartment and hotel towers, a dazzling spectacle by day and a kaleidoscope of glittering lights after dark. 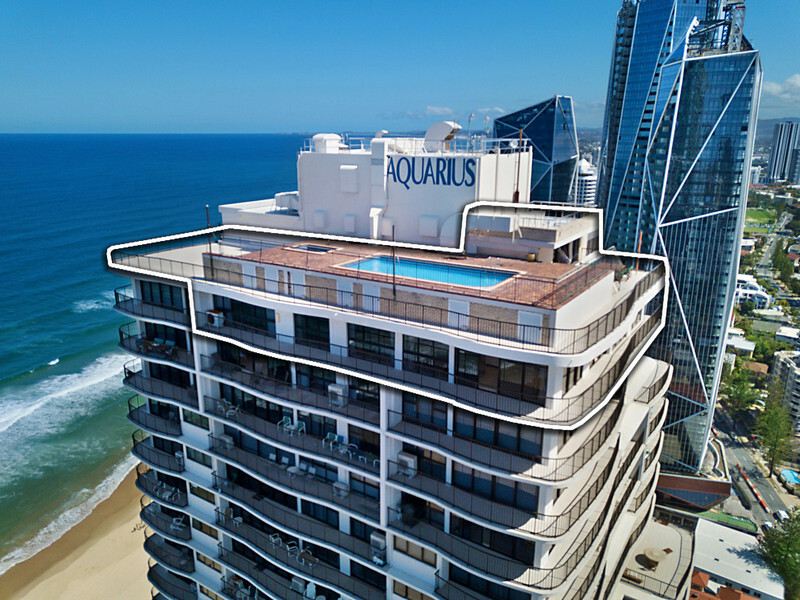 A most notable structure is Q1, one of the world’s tallest residential buildings towering 230 metres and visible from almost anywhere on the Gold Coast. The majority of Surfers Paradise real estate comprises apartments, either in the many towers built since the 1970 or smaller unit blocks. There are a few individual houses to be found in the most prime waterside areas but land is so scarce and valuable that such dwellings are a rarity. Apartments, from basic to luxurious, are approximately 50% occupied by owners and 50% let as holiday or permanent rentals. Investing in a unit for an income plus occasional holiday use is common, with many investors hailing from interstate and overseas, primarily New Zealand and Asia. The suburb’s first highrise, the nine storey Kinkabool, is still occupied and is heritage listed, while other original highrises are being refurbished or even demolished to make way for spectacular new towers. With several new beachside developments now under construction and the establishment of the light rail service through the centre of town, business and government are demonstrating their confidence in the continued growth of south-east Queensland tourism. Surfers Paradise real estate should therefore remain a worthwhile investment for the foreseeable future.